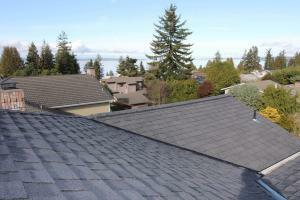 Addicott Roofing mostly installs architectural shingles, which are longer lasting and have higher wind resistance. We nail all the shingles instead of stapling. Black baked enamel flashing is used for all of our valleys, chimneys, skylights and roof to wall. We make a conscientious effort to pull all nails that held previous roofs. 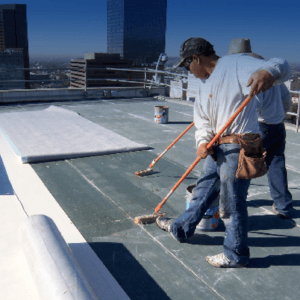 We make sure the roof deck is in its best possible condition before we install your new felt paper and roof. 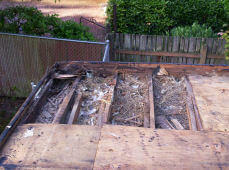 For example removing rotten or delaminated sheeting and installing new. We pay all of our employees on an hourly basis, while most roofing contractors pay piecework, which creates an adverse incentive. There is at least one, often two foremen on every job to ensure the new installation is of our high standard every time. Learn more about our preferred shingle – CertainTeed Landmark Series. Torch down is a single membrane material used on low slope to flat roofs. We check over the sheeting once the existing roofing is torn off, any rotten or delaminated sheeting is replaced accordingly. Then we prepare the roof deck by nailing a 28 lb modified fiberglass base sheet. It is fastened with a ring shank metal round head, which lays flatter then all other fasteners. All flashing, scuppers and vents are pre-primed with asphalt roof primer. This creates an excellent bond between the torch down and the metal flashing that we’re adhering to. We use our own method of heating the rolls of torch down. This allows an critical even flow and bond between the seams. We strongly recommend the use of granulated torch down to avoid the need for periodic messy and expensive roof coatings. Learn more about our preferred Torch Down material – CertainTeed GTA. We use the torch down to line built-in gutters and make pockets or crickets on pitched roof. TPO (thermoplastic olefin) is a single ply vinyl material used on flat or low slope roofs. TPO is durable, energy efficient & long lasting. It possesses the ability to be heat welded and thus fused together. Hot air welded seams have proven to be the most reliable seam in the market today. Fused seams are 6 times stronger than glued seams and three times stronger than taped systems. It comes in light colors so there is no need for much maintenance or coatings. This means that having a TPO roof on your home or building will keep the interior thermally comfortable on hot summer days while reducing your air conditioning costs. TPO is also quite durable; it resists mold growth, dirt accumulation, tears impact and punctures. The product comes with a lifetime warranty. Learn more about our preferred TPO material – WeatherBond PRO TPO. We offer complete skylight installation in your existing home. We carry Crystallite brand skylights and are authorized installers for them. Our installers frame a new skylight shaft, sheetrock, tape, texture, prime and paint. This includes building a curb at the roofline and flashing into your existing roof, or new roof that we provide. We clear the unit and foam tape the seal so the unit may be removed in the future, as well as provide an air-tight seal. We can order skylights in any size, all of which are made of safety glass. There have been huge advancements in glass and frame which have become available. 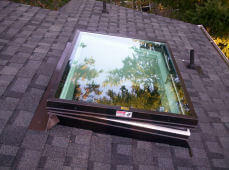 We can order and install skylights to fit your needs. 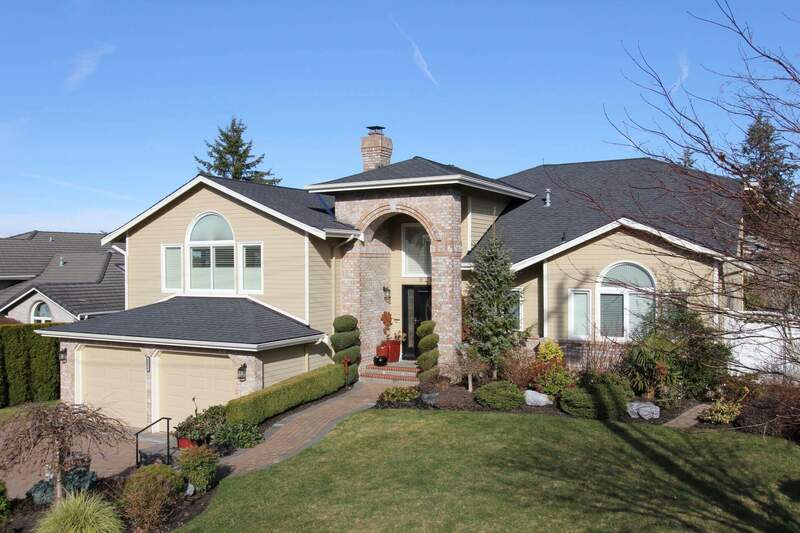 We install seamless aluminum gutters and equip them with matching 2″ x 3″ downspouts. 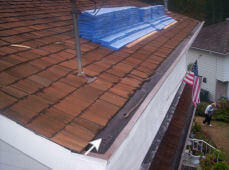 The gutters are installed using hidden gutter hangers approximately every two feet. They are baked enamel and come in a variety of colors. Generally we slope the gutter toward the downspout for the best drainage. We also install built-in gutters. They consist of galvanized scuppers that hook to existing two inch downspouts, or newer 2″ x 3″ aluminum downspouts. We then line the gutter with torch down (approximately twenty inches wide). A baked enamel cap metal is then installed to cover the outside edge. We offer an extensive repair service for all types of roofs. Roof types consist of composition shingle, shake, hot tar, torch down. We also offer valley, chimney, skylights, pipe flashings, roof vents, and skylight replacement. We add additional ventilation to existing roofs. Hook up bathroom fans. 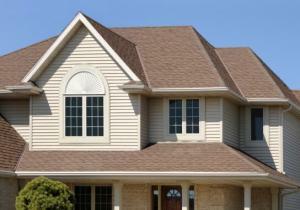 We check over the entire roof surface and inform you of any areas of concern. A typical service call is a minimal charge, that covers minor and/or simple roof problems. Our service call generally corrects the roof leak. If the repair is more extensive we offer a free estimate for you to determine the cost effectiveness of repairing or replacing the roof surface. We safely and professionally clean almost every type of roof. 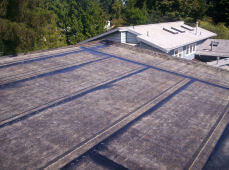 We utilize the proper pressure to reduce the possibility of damage to your existing roof. Included in our cleanings is applying residual moss and algae treatment over the entire roof surface once the powerwashing is complete. In addition, we include a gutter and downspouts cleaning and the cleaning of debris from your property.